The Financial Accounting Standards Board’s Current Expected Credit Loss (CECL) standard introduces a new model for the recognition and measurement of credit losses for loans and debt securities. 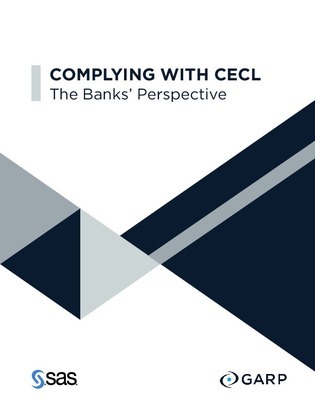 CECL aims to provide more timely reporting of the health of credit portfolios. In this white paper, discover findings from the SAS/GARP survey which gauged lenders’ progress and concerns in gearing up for the new model.